Feb. 21 (Bloomberg) -- The Libyan Foreign Bank will offer Shariah-compliant products as the government prepares regulation to make Islamic banking the norm in the North African nation following the ouster of Muammar Qaddafi. Shariah-compliant finance may reap the benefits of regime changes in North Africa, where protests last year toppled three leaders who persecuted Islamists. 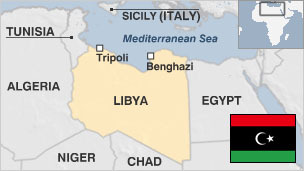 While Muslims make up about 95 percent of North Africa’s 220 million people according to the CIA World Factbook, access to Shariah-compliant financial services remains limited as past leaders, including Qaddafi, held back the industry’s growth to curb the influence of Islamic parties. Mustafa Abdel Jalil, the chairman of the National Transitional Council that lead the rebellion to topple Qaddafi, said Oct. 23 that the country’s banking industry should comply with Islamic law, which bans interest. Central Bank Governor Saddek Omar Elkaber on Nov. 24 said the government will honor bank licenses issued during Qaddafi’s era, including one given to Qatar Islamic Bank to start the only Shariah-compliant lender in the country. “We are a traditional society so we are looking for products that are ethically and morally comfortable; we think that Islamic banking can re-energize the industry and move our economy forward,” Ben Yusef said. The Libyan Foreign Bank, a fully owned unit of the central bank, is the biggest bank in Libya in terms of capital and assets, he said. Paid capital was $3 billion and total assets were $18 billion at the end of January.